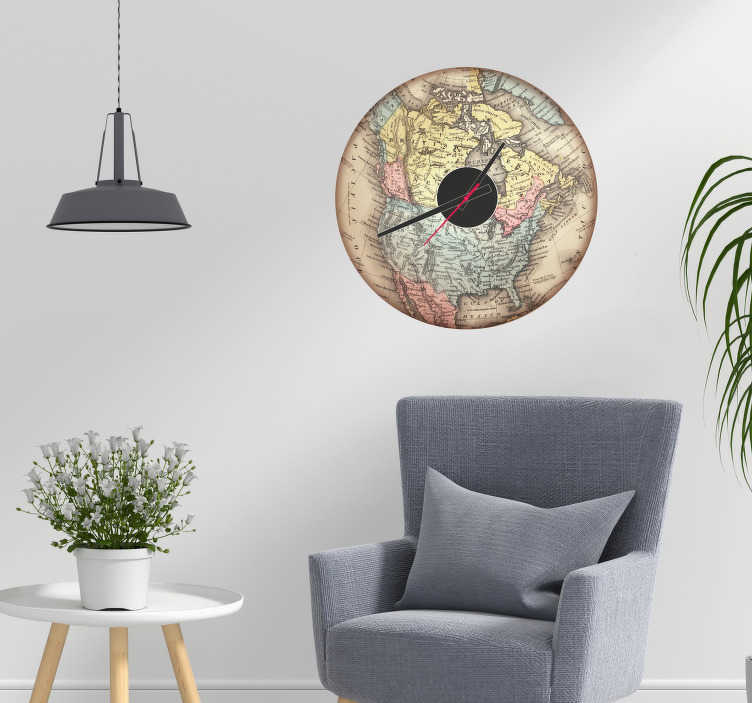 Decorate your home with this fantastic vintage wall clock sticker, depicting the magnificent continent that is North America! Perfect room decor for those looking for an old-fashioned, affordable yet still visually stunning and extremely high quality clock! Like all of our wall clock stickers, this comes with the clock mechanism included, so it is ready to go as soon as you receive it! In addition, it is made using extremely high quality vinyl, meaning that it has a 15 year lifespan and leaves no damage or residue upon removal!